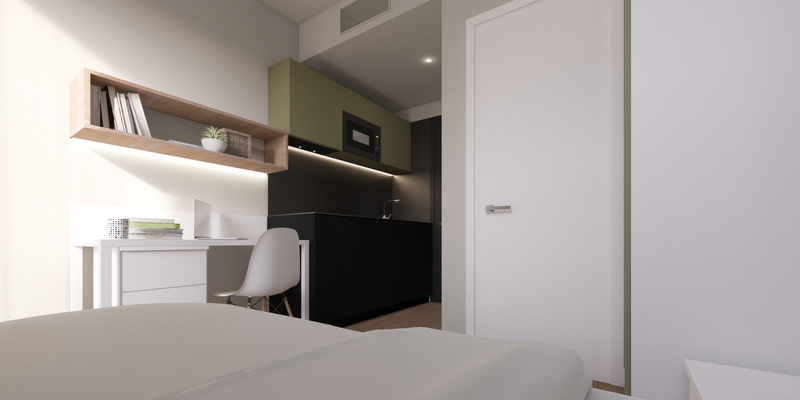 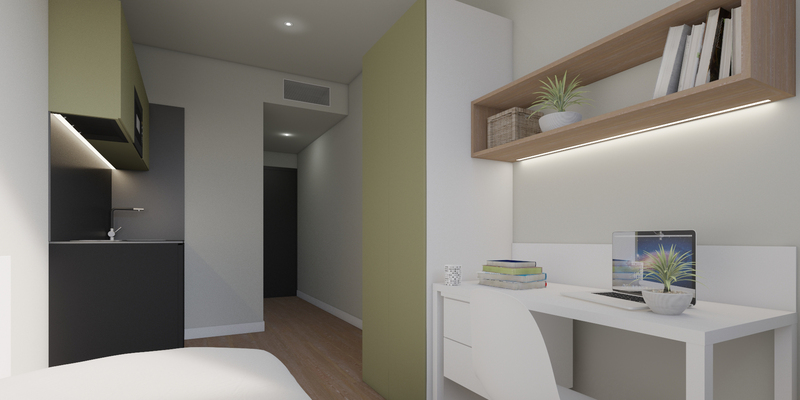 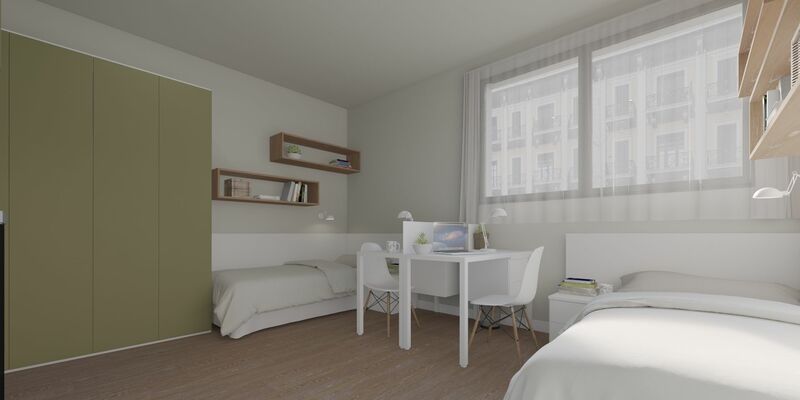 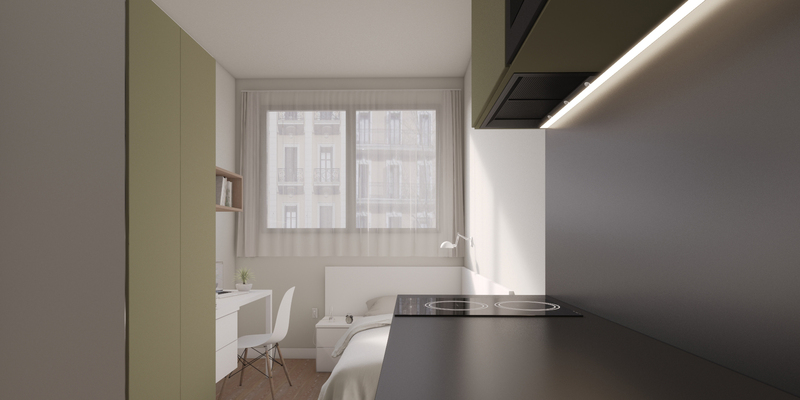 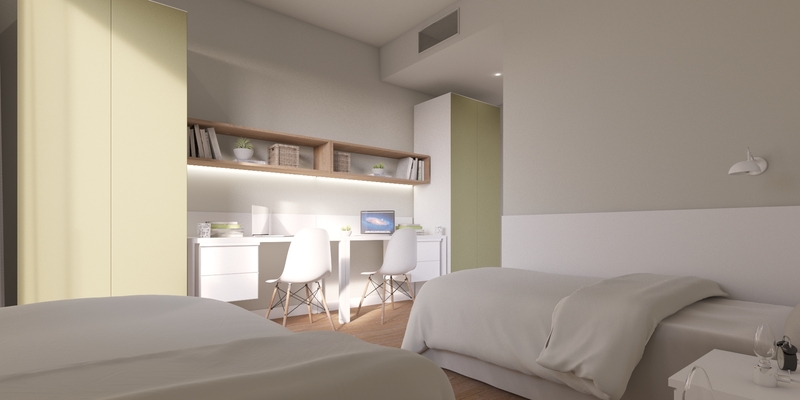 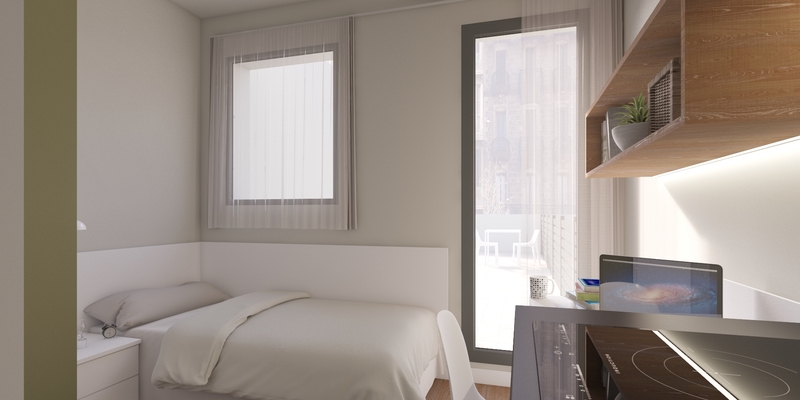 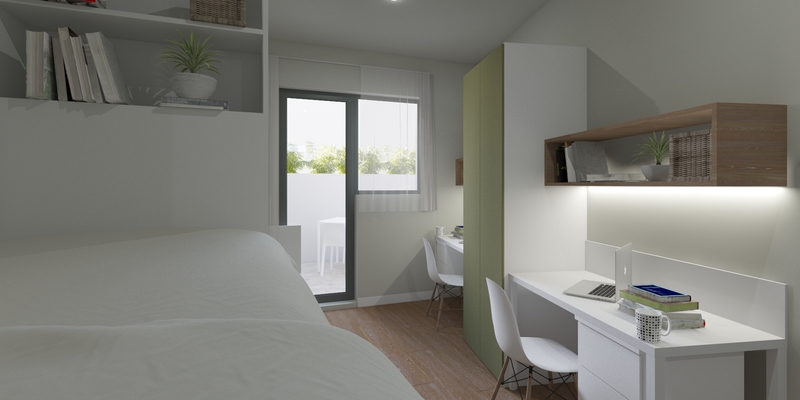 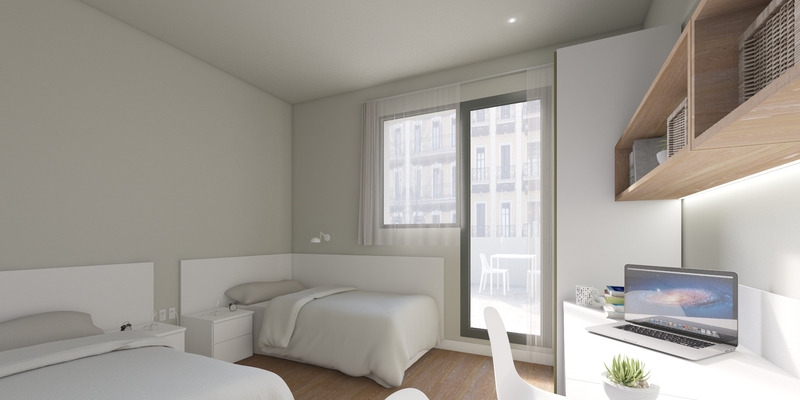 You can stay at The Lofttown throughout the academic year from September to June (10 months). 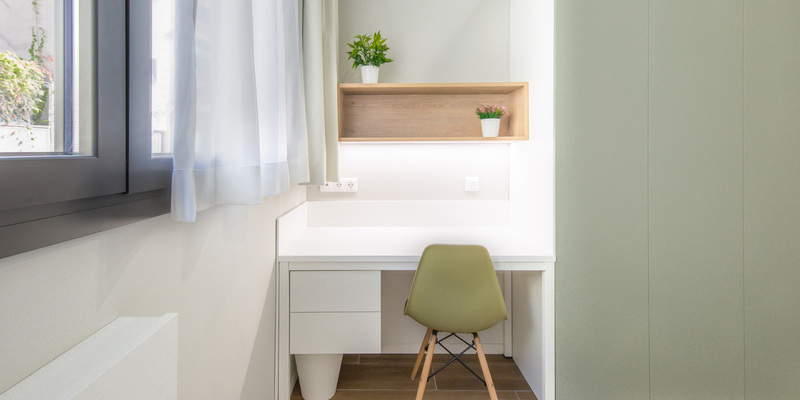 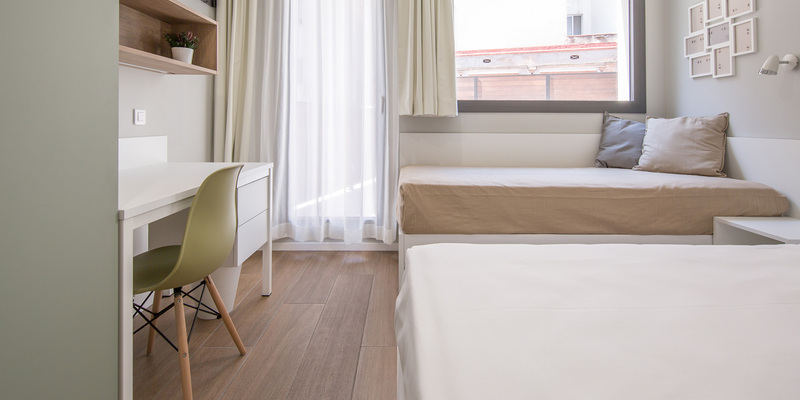 If you want to continue enjoying everything that Barcelona has to offer in July and August when you have more free time, don’t think twice about it and extend your stay along with other The Lofttowners! 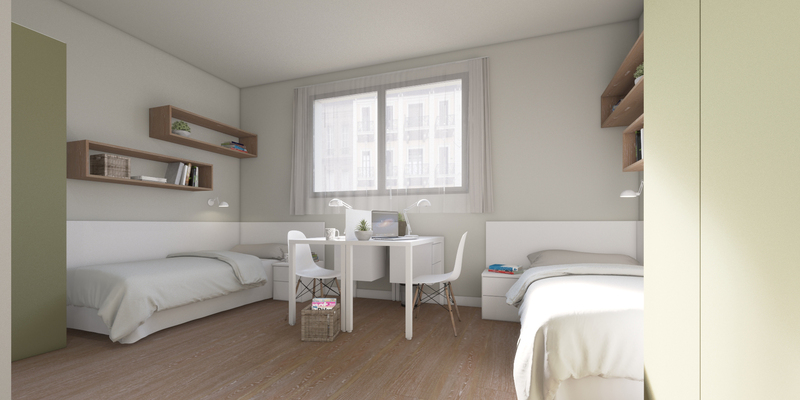 You can stay at The Lofttown for just one semester, be it from September to January, or from February to June. 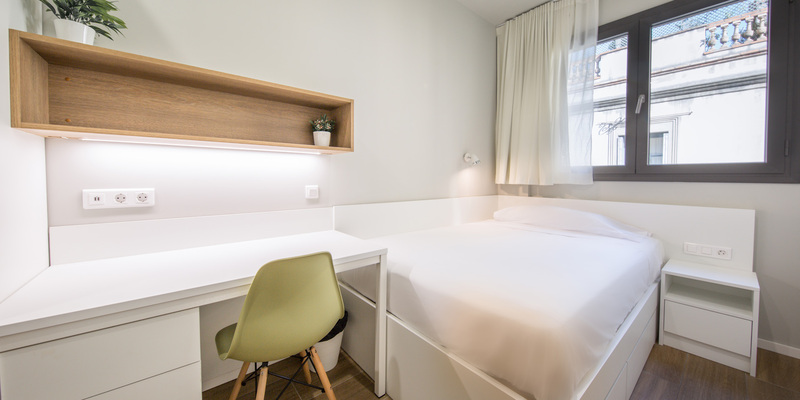 If you want to continue enjoying everything that Barcelona has to offer in July and August when you have more free time, don’t think twice about it and extend your stay along with other The Lofttowners. 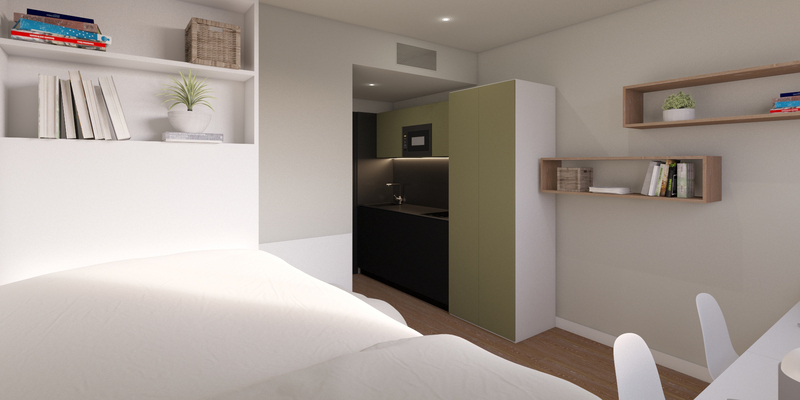 You can choose either full-board or half-board for all the accommodation options. 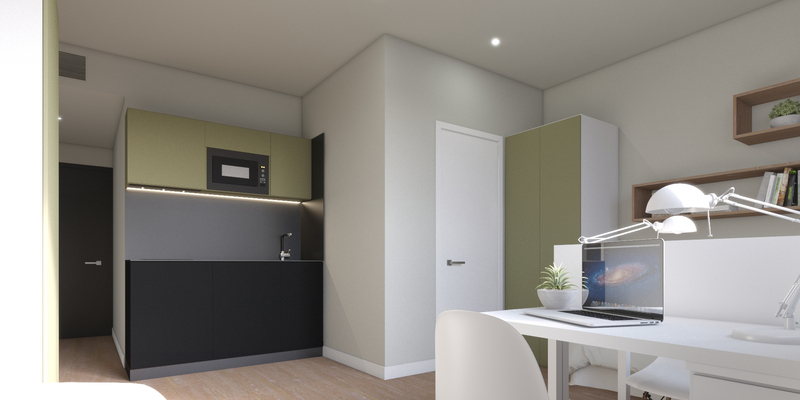 However, if you prefer to prepare your own food, reserve one of our Studios! 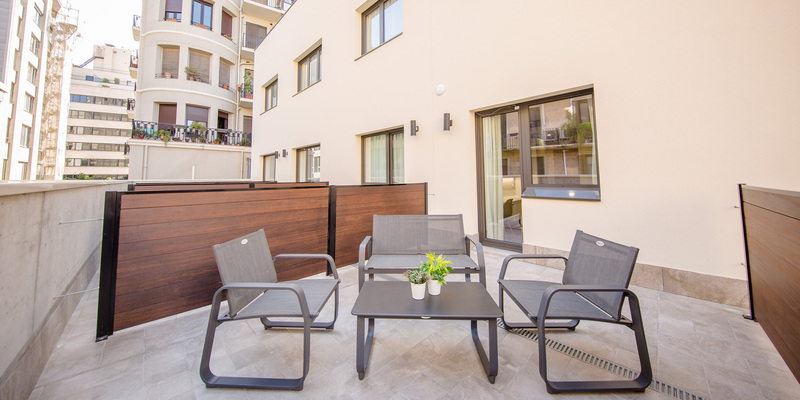 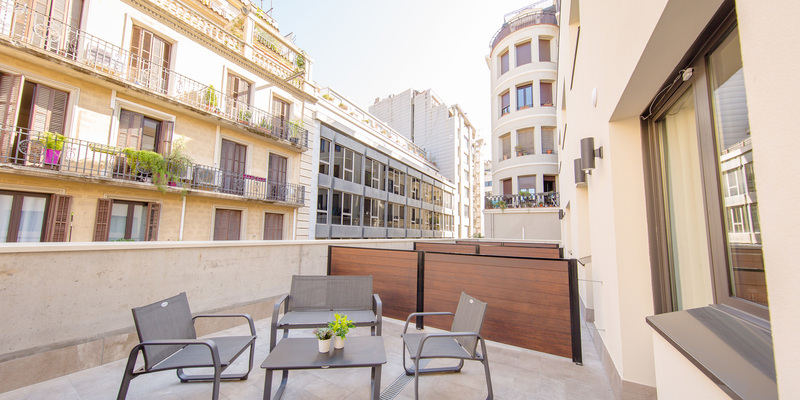 You can reserve a room for only one month but if you want to continue enjoying everything that Barcelona has to offer, with other The Lofttowners, don’t sleep on it or you will end up without a place! 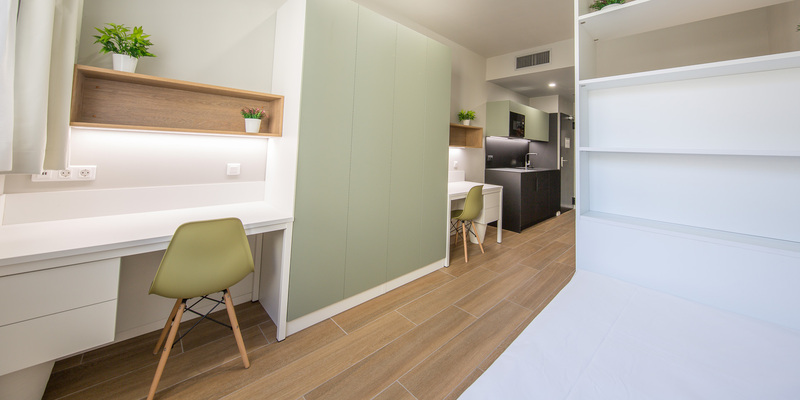 You can choose either full-board or half-board for all the accommodation options. 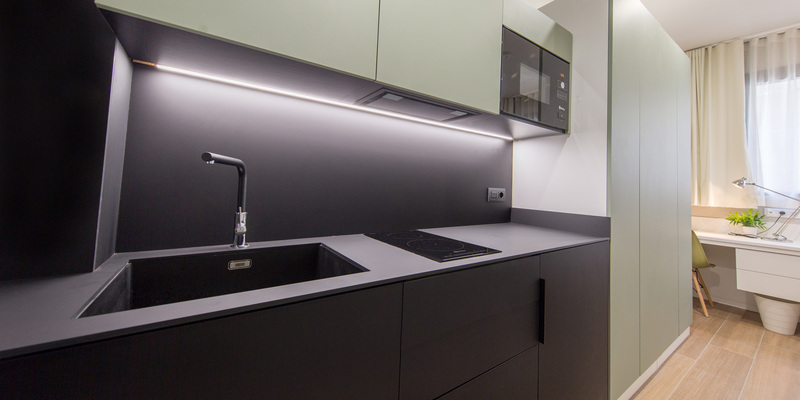 However, if you prefer to prepare your own food, reserve one of our Studios! 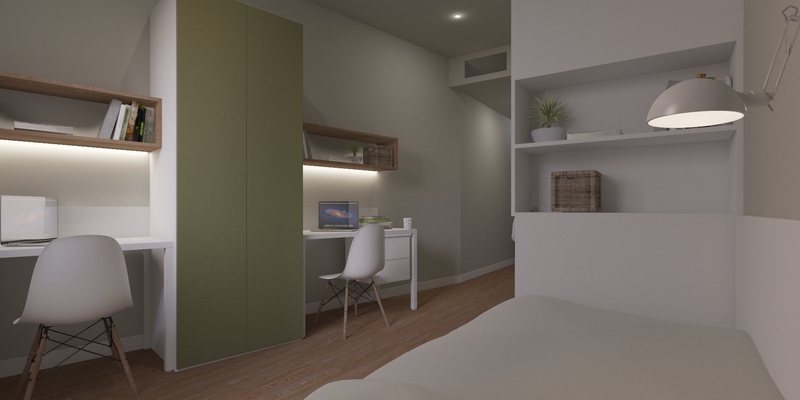 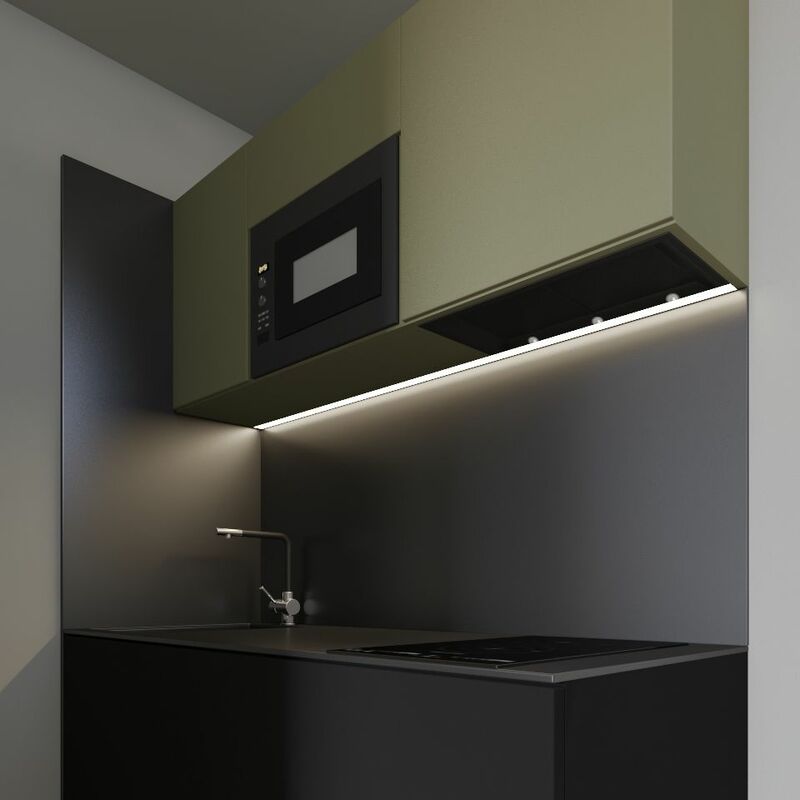 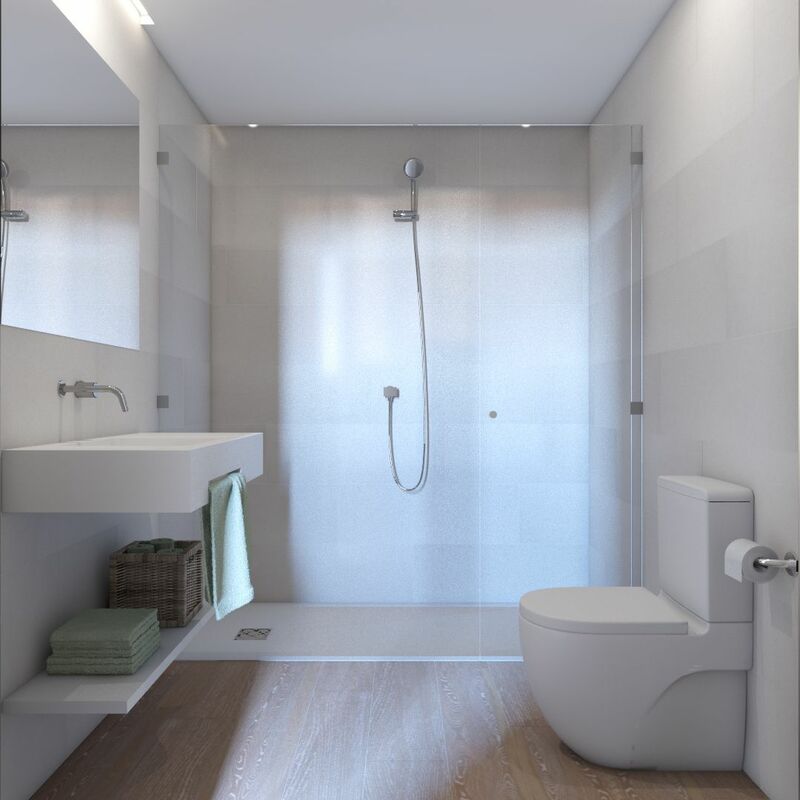 Some images are renders and may present variations with finished product. 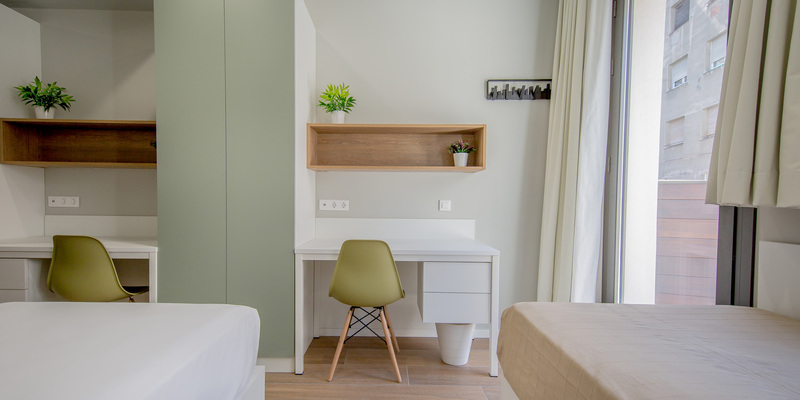 Weekly room cleaning with replacement of fresh towels and sheets. 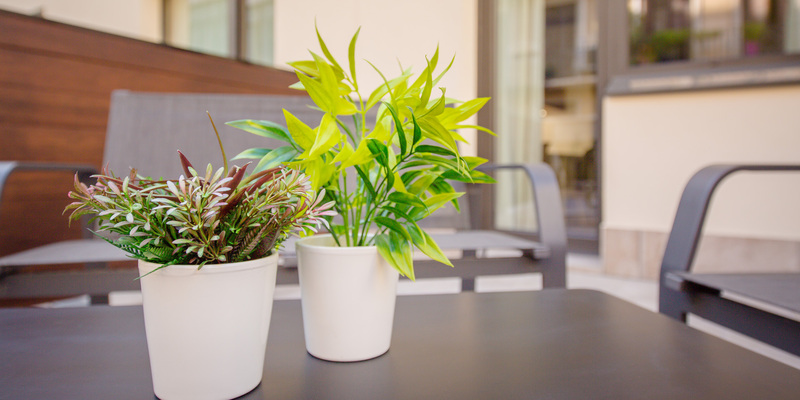 For a better experience, watch the 360º video with VR glasses through our Youtube Channel. 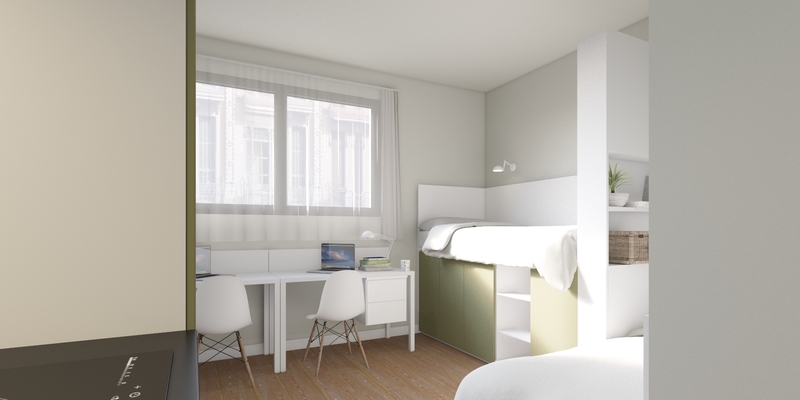 *Ask your university if it collaborates with The Lofttown because you could receive a discount on our rates. 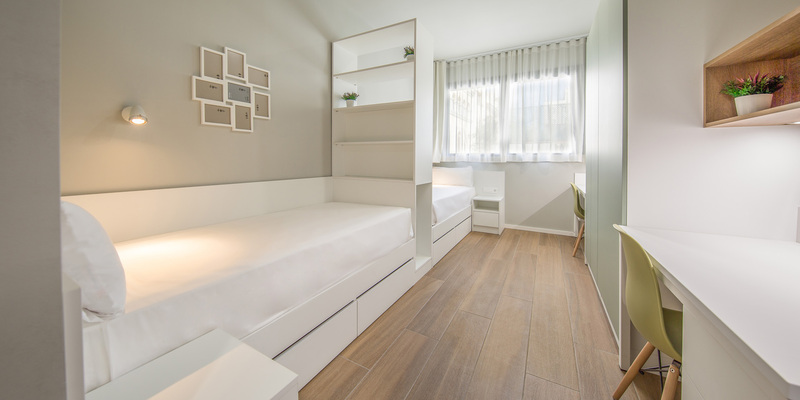 We also offer Handicap-Accessible Twin Rooms. 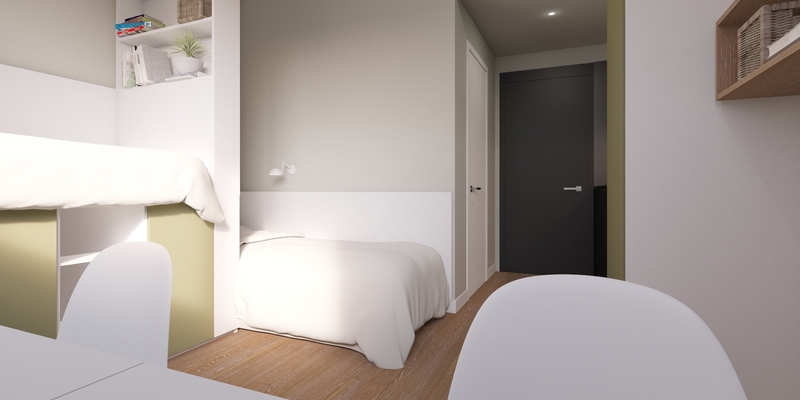 These rooms have handicap-accessible ensuite bathroom. 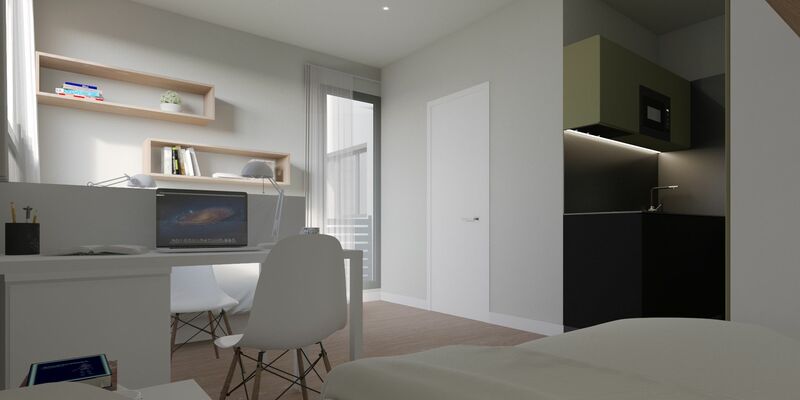 We also offer Special Twin Studios with their own state of the art kitchenette and ensuite bathroom.